Why is it that Simone Weil, with her short, troubled life and confounding insights into faith and doubt, continues to speak to today's spiritual seekers? Was it her social radicalism, which led her to renounce privilege? Her ambivalence toward institutional religion? Her combination of philosophical rigor with the ardor of a mystic? 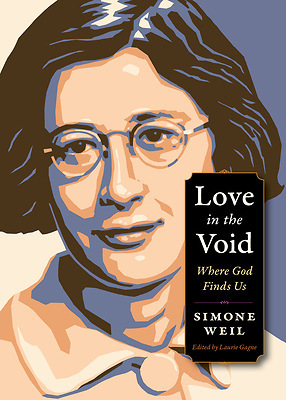 Albert Camus called Simone Weil "the only great spirit of our time." Andr Gide found her "the most truly spiritual writer of this century." Her intense life and profound writings have influenced people as diverse as T. S. Eliot, Charles De Gaulle, Pope Paul VI, and Adrienne Rich. The body of work she left-most of it published posthumously-is the fruit of an anguished but ultimately luminous spiritual journey. After her untimely death at age thirty-four, Simone Weil quickly achieved legendary status among a whole generation of thinkers. Her radical idealism offered a corrective to consumer culture. But more importantly, she pointed the way, especially for those outside institutional religion, to encounter the love of God - in love to neighbor, love of beauty, and even in suffering.